The simple, painless and most pleasant way to get practicing Catholics to want to learn and understand our holy and ancient faith more deeply, become more engaged, increase giving, and actually get excited about being Catholic! This three phase system of learning and evangelization works to accomplish this and more… without asking any of your parishioners to do anything—they do it all on their own. Read on and let me tell you all about it! Please accept my sincere thanks for the extraordinary work you are doing to shed light on and share the truth of the Catholic faith. Your strength is the comprehensive and faithful exposition of the faith in language “Joe Sixpack” can appreciate and embrace. You are sharing an amazingly rich gift with others and I pray that your on-line audience continues to grow. 70% of Catholics no longer believe in the Real Presence of Christ in the Holy Eucharist. An astonishing 84% of Catholics no longer believe in purgatory, hell, or the devil. 9 out of ten Catholics can’t even tell how many sacraments there are, much less name them. One out of every ten Americans is an ex-Catholic. If they were a separate denomination, they would be the third-largest denomination in the United States, after Catholics and Baptists. Catholicism is losing members faster than any denomination. Today’s young adults are 4x more likely to leave the Church than young adults in the previous generation. The gospel letters, though written thousands of years ago, are supposed to draw me closer to God. They, for the most part, don't. You do. YOUR words are more effective in reaching me. I know, for the most part, what the apostles have said. I'm looking for someone who can relate it to today. I have a greater chance of returning back to the flock with what you do. We have to staunch the flow of blood from the Mystical Body of Christ if the lay faithful are to survive the spiritual assaults of the world, the flesh and the devil. Can that be done by having remedial catechism classes? Sure, but how many can you get to attend? You can spend hundreds of dollars, but you’ll likely only get a handful to attend… and most won’t finish the course. You have to have a system in place that works even without asking parishioners to participate—parishioners think participation is their idea, and that’s what the Sixpack System system does! I truly need to tell you that this simple instrument of What We Believe...Why We Believe It is a wonderful tool and a great way to catechize every Christian brethren in this age of Wi-Fi, all over the world. I am very sure that many would soon follow your pioneering footsteps in this unique apostolic venture. Please keep up this good work and more grease to your elbow. Remain blessed always. This is a weekly bulletin insert providing an orthodox thumbnail lesson in the faith. Each week you merely download the insert and print out the number you need. These engaging (never boring) inserts work because they’re intrusive—parishioners can’t help but see and read it. And 70% of Catholics get 100% of their info from the weekly bulletin! Each issue of What We Believe… Why We Believe It invites the reader to visit this website to get answers to all their questions… those they won't ask you. If they can’t find the answer already on the site (unlikely), there is a page where they can ask Joe Sixpack—The Every Catholic Guy directly. Visitors to the site are invited to sign up for a free email course about the Catholic faith. And 53% of site visitors sign up for the course that arrives in their email inbox every three days. 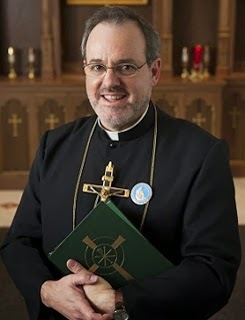 Sharing the Catholic Faith webinar series: free! Another benefit site visitors get when they sign up for the email course is a weekly special invitation to our webinars about every aspect of the faith. These webinars are free, and we sell nothing! A whopping 64.9% of email course enrollees (above) sign up for these webinars. Parishioners enjoy these so much that they invite others in the parish to attend. Recorded webinar links are sent to all registrants. This was the first full webinar the I've sat through. And I was amazed when you said it was time for questions. It just blew me away, as I didn't think an hour had gone by already. So I would've never guessed that an hour would've gone by. It was amazing! I was totally shocked. You have me sucked in! It was a great experience for me. Thank you for everything you do. There isn’t a parish in the country that isn’t facing the problem of declining numbers and giving. The reason isn’t because Mass attending Catholics don’t care about being “good” Catholics. It’s because they no longer really know what a good Catholic is supposed to do beyond attend Mass. And that’s because the catechesis available in this country during the late 60s, throughout the 70s, and into the early 80s was woefully deficient. By the time catechesis had gotten better, it was too late for most Catholics—we’d been dumbed down and left as spiritual orphans. Don't believe it? See the statistics above! Weekly What We Believe...Why We Believe It bulletin inserts to download, print & insert. Your laity get FREE access to JoeSixpackAnswers.com for all their questions. Parishioners get FREE weekly webinars on the faith. They also get a FREE weekly email course. FREE private webinars for your RCIA with live interaction. Catechesis is the missing element of our Catholic renewal. Joe knows! Listen to him! Those born after 1960 have probably had little exposure to the true traditional faith. Don't be fooled by a compromised faith. True faith is adherence to dogma and tradition. The lack of solid catechesis over the years has led to a lukewarmness in the Church in our nation that has reached dangerous levels and, for all intents and purposes, made the Catholic Church irrelevant in the lives of most Catholics and our national culture and society. The remedy is to re-educate and re-evangelize the laity… and that is what Joe Sixpack and What We Believe...Why We Believe It is all about. Please download four sample copies of What We Believe...Why We Believe It by clicking the button below. 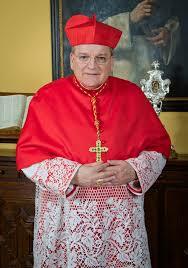 Also take the time to read endorsements from Raymond Leo Cardinal Burke and my good friend and EWTN personality Fr. William “Bill” Casey of the Fathers of Mercy by clicking on the appropriate buttons below. 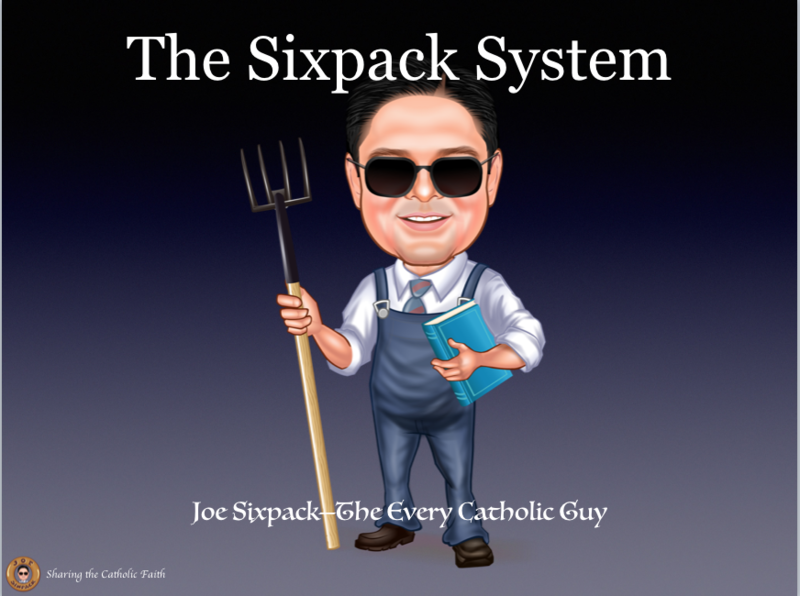 How Joe Sixpack and What We Believe...Why We Believe It began here. Why you can know you can count of Joe Sixpack for absolute orthodoxy here. The bonuses you get when you subscribe to What We Believe...Why We Believe It here. Joe Sixpack’s iron clad guarantees with What We Believe...Why We Believe It here.